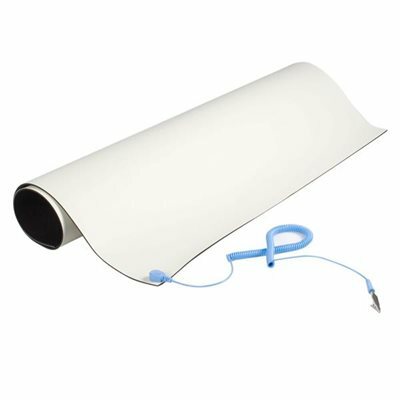 Add a large 24" x 27.5" anti-static mat to your desktop or work station. StarTech.com's Desktop Anti-Static Mat helps you protect your valuable computer equipment from dangerous static electricity. This high quality anti-static mat is constructed from the highest quality static dissipative material, to ensure safe operation of your equipment.The anti-static mat meets IBM and US military static control standards and measures 24x27.5in - perfect for placement under the CPU/VDT and keyboard.